I am a wife to a wonderful and supportive husband and the mother of six terrific children. 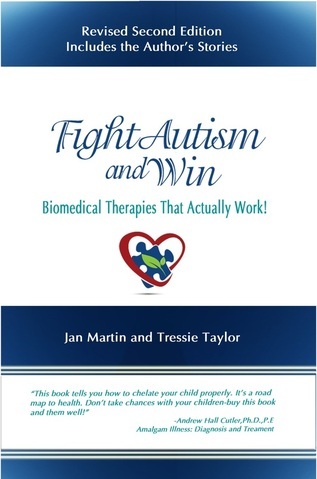 My journey with Biomed started in 2007 when my son was diagnosed with low to moderate functioning Autism. Like most parents, I was desperate to find answers to help my child. I joined my first special diet listserv in 2007 and got started with GFCFSF diet. We found a DAN doctor in our area and did all we were told to do and we saw some progress as well as some bumpy patches. In the summer of 2008, we moved out of state. We lost the doctor we had been seeing and my son started refusing his supplements (they really did taste awful). His behavior regressed terribly, so I was once again desperate. I went back to the internet to find an answer. In April of 2009, I found the Autism-Mercury group and after having a questions answered by Dr. Andrew Hall Cutler Ph. D., I threw all my energies into learning how to help my son. I started AC Protocol to Detox my little boy and his progress was truly amazing. We saw more improvements and gains in his first three rounds (three weeks) following this method than we had in the entire year and a half with our old doctor. Through reading Andy’s books and the listserv, I was able to discover why the doctors protocol was not helping my son, and find strategies that were actually beneficial to his long term health and development. I began moderating the Recovery from Autism listserv in 2010, and was then researching answers not only for my son but for other parents as well. This experience gave me a unique perspective on the challenges we face as parents in the sea of misinformation that surrounds us. My son may have began with a diagnosis of Low Functioning Autism, but today he is in a regular classroom with no IEP. He has friends, does not need any special diets, no more handfuls of supplements, no yeast, no digestive issues, and no longer qualifies as Autistic! I am not a doctor or medical provider. I am a Holistic Nutritionist and Spectrum Health Consultant. I have received much of my knowledge from hands on experience with my own son and endless hours engaged with other parents. For those who are interested in knowing more about my educational experience, here is a list of my formal training. My spouse and i Cherished your posting plenty. I’m going to be exploring a web site continually. I stubled onto this on line, do you really usually get more blog page? that I needed to start leannirg a trade… I proceeded to almost ace the math portion with no prep. He still wouldn’t let me take calculus in HS. I never did learn a trade, but I’ve done pretty well without it.There wasn’t any type of understanding on non-traditional thinking or approaches to education. From what I’ve seen for my son (both he and I are AS)… there seems to be an understanding and desire to see all children succeed. From what I read, our school system may be unique, but I would hope that we are the trend.I think communication and understanding are critical. Be open to new ideas and approaches and understand the role of education… to prepare the student for a successful and productive adulthood. Absolutely Salsa! Education is key to success in the world, as are social skills. Both can be more successful when our children’s mind’s and body’s are healthy and toxin free.